Hide deals from seller "SunnyU Culture and Education Center"
Limit 1 per person; may buy 1 additional as gift. Valid toward classes. New customers only. Registration required. Full value of Certificate must be used in 1 visit. 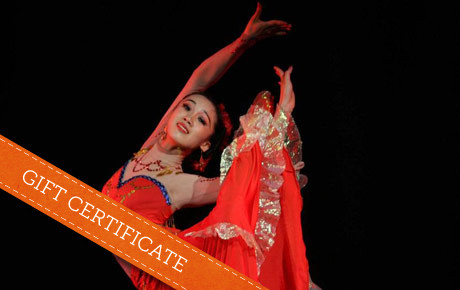 Bust a move with 50% off a $36 Gift Certificate to SunnyU Culture and Education Center in Buffalo Grove. This deal may be used for you and a friend for one class, or you can use it for two classes yourself. This center offers a variety of dance courses that will help you get fit while having fun. SunnyU Culture and Education Center specializes in Chinese performing arts and cultural activities, but they offer classes in a variety of dance disciplines. From Zumba and Latin ballroom dance to Chinese folk dance and ballet, SunnyU offers classes that will help you develop dancing skills while discovering your potential and balance a healthy lifestyle. The experienced instructors tailor classes for each group, and sessions are offered for everyone from beginners to advanced students. Development center in Buffalo Grove mainly focused on Chinese culture and performing arts.